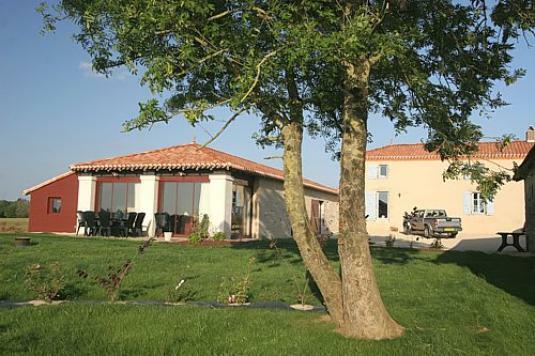 Rent French holiday gite in Vendee, la Vigneronde (The round vineyard) is the perfect base for exploring the Vendée area - and is just 40 minutes from the seemingly endless Atlantic beaches near Les Sables d’Olonne. It's one hour to Nantes, with the pretty resort of La Rochelle, near Le Marais Poitevin are all possible for a day trip. To the west, it is 40 minutes to Tiffauges - the magnificent medieval city and castle. Between La Rochelle and Fontenay le Comte runs the La Venise Verte (Venice Green) - perfect for exploring by bicycle, boat, walking, or just for lazing and having a picnic under the trees. The Vendee department is the place to taste and buy excellent local wine, or you can visit their wine Countries, well known for their good red or white wines. Natural Country House true home of character it is constructed of stone of country and oak. Bathroom towels and bed linen if required. A room with a double bed and two simple beds, a room a double bed and a simple bed. Introducing France's finest collection of hand-picked holiday cottages. Association Vendee Coast Holidays (Vendée Côté Vacances). 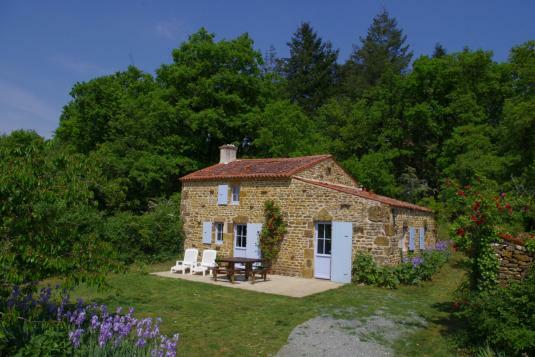 Discover your Vendee holiday cottage, rent a country gite in a range of breathtaking regions in France with French Country Cottages. The cottage La Vigneronde is a member of this association. From soaking up Vendee's stunning and luxurious coastline, to discovering the colourful countryside of Vendee, there's a perfect holiday cottage waiting for you. And we're here to help you find it. That's why when we say our collection of Vendee Country Cottages are hand-picked, we mean it. As specialists in providing superior holiday cottages within the most beautiful areas of Vendee department, at west atlantic coast Country Cottages we work relentlessly to personally inspect all our holiday cottages to ensure they exceed your expectations. Holiday rent house in the center of the department of Vendée, the domain of Revêtison is our partner.